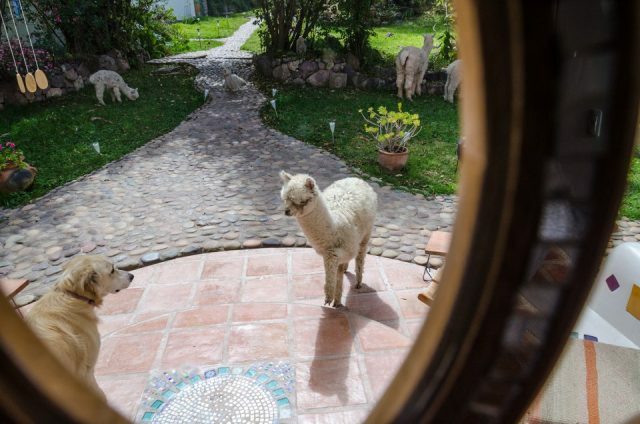 Alpacas Everywhere at the Heart of AN! June has been a month of recovery time for us at the Heart of AN. On June 8th, we finally got our car, La Perla back from the repair shop. She had been gone for three weeks and it feels so much better to have her home with us. We had a one night visit, complete with readings of the Cards of AN for Marta and Carlos of Brazil who were super nice. A week later, Emanaku’s cousin Benedikt and his partner Inés arrived from Germany for a week long visit and will leave tomorrow. Now, we are going to pull up our drawbridge a bit and try to spend the next two months concentrating on writing. Both of us are working on books about our lives. We really need this time of quiet in order to get these books finished before several groups arrive for visits in September. We still haven’t decided or set a date for our next Special Events ~ which might be in October or November. We will decide soon. 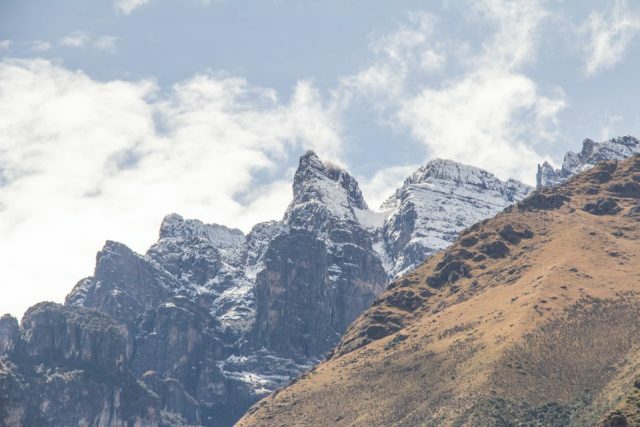 Three weeks ago, there was over 30 cm (1 foot) of snow at Pedro’s house in the remote Andean community of Yanamayo which is at an altitude of 4,000 meters (13,100 ft). 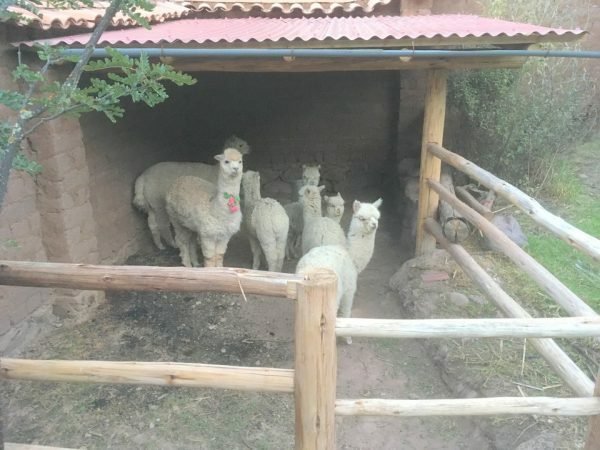 These conditions are very difficult for the baby alpacas since they have no place to get out of the snow there. 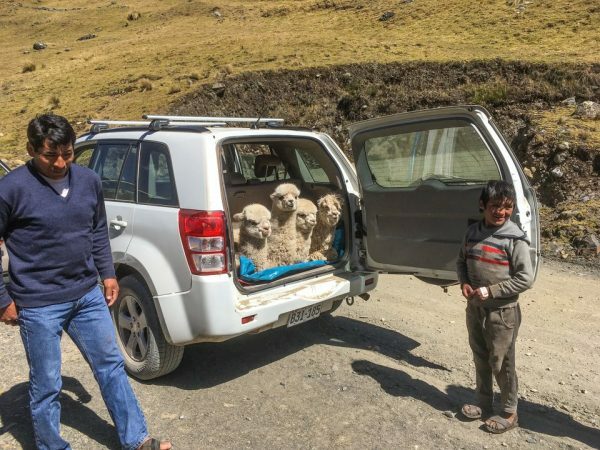 So last Saturday, Emanaku and Roberto made a trip to Pedro’s community on a special mission to bring five of Pedro’s baby alpacas to the refuge of the Heart of AN during the cold winter up there. 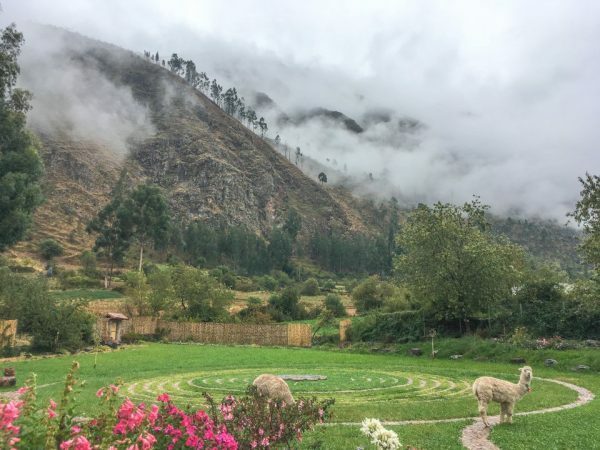 It’s winter here in Peru and it’s a colder one than usual. A blanket of fresh snow covers our nearby Apus. 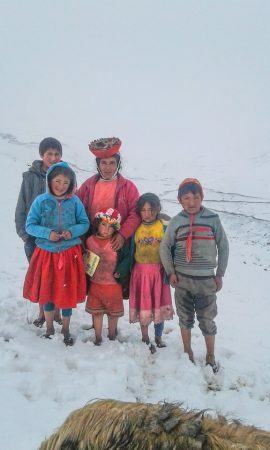 But not as much snow as the high Andean community where Pedro’s family lives! 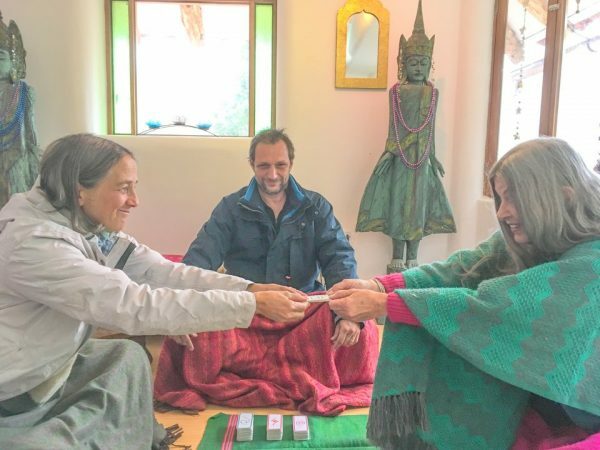 Marta and Carlos from Brazil came for a one night visit and had brilliant readings with the Cards of AN. They are super nice and we loved spending time with them. Of course, we had to watch the Peru – France game at the World Cup last week with Pedro, Alexander and Roberto! Even though they didn’t win the game, Peru played with a lot of heart and that made us very happy! 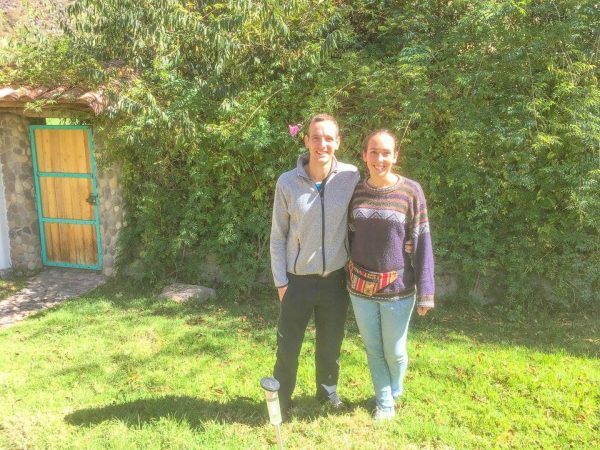 Emanaku’s nephew Benedikt and his partner Inés have been visiting us for the past week while doing lots of hiking and exploring. 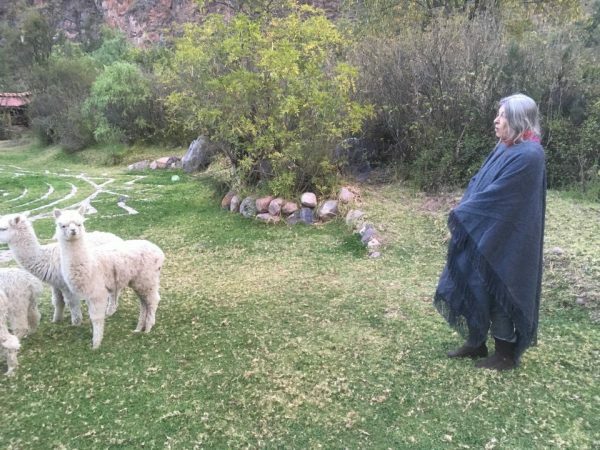 Because it is so cold where Pedro lives, Emanaku and Roberto made a trip there on Saturday to bring some of Pedro’s baby alpacas to the Heart of AN where they can be warm. 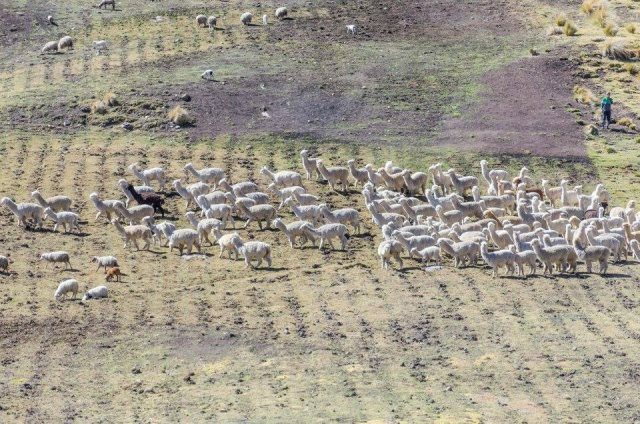 Every year, thousands of llamas and alpacas die from the cold in Peru. 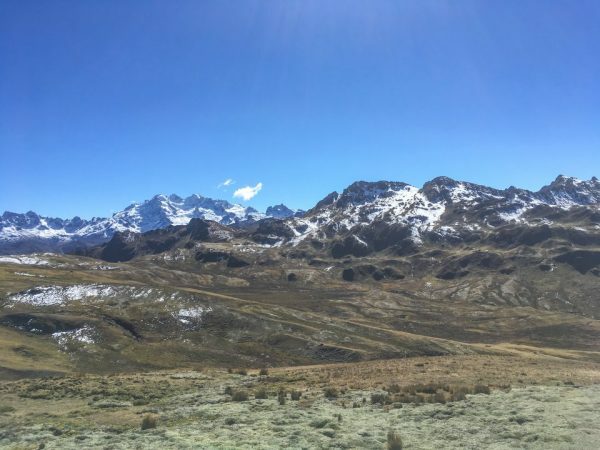 Here is the snowy landscape and high mountains near Pedro’s community. 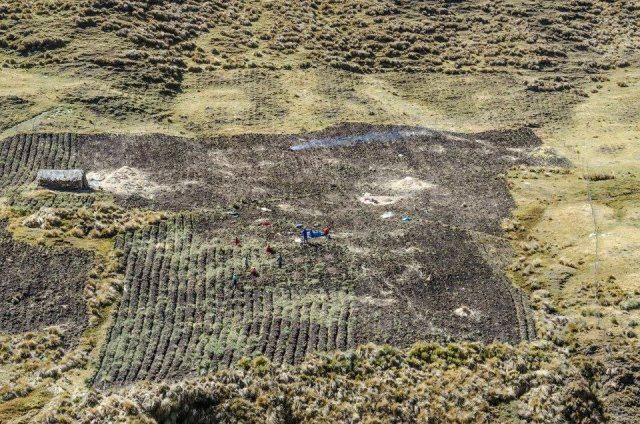 When they arrived, Pedro was busy planting potatoes in his large potato field. He’d been planting them all night long. 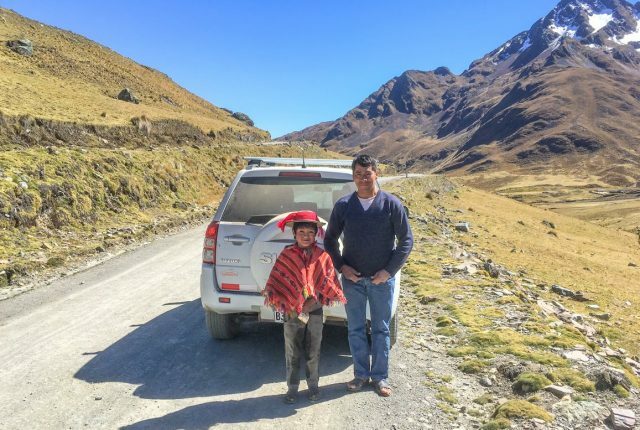 Pedro’s son Johan met Emanaku and Roberto at the high pass and showed them where to go. 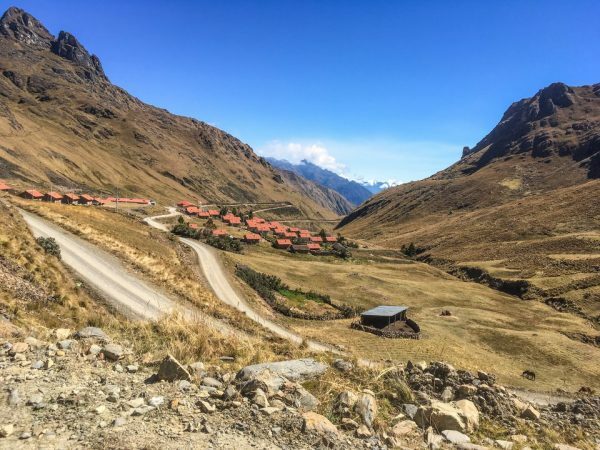 First, they went to Pedro’s village of Yanamayo. 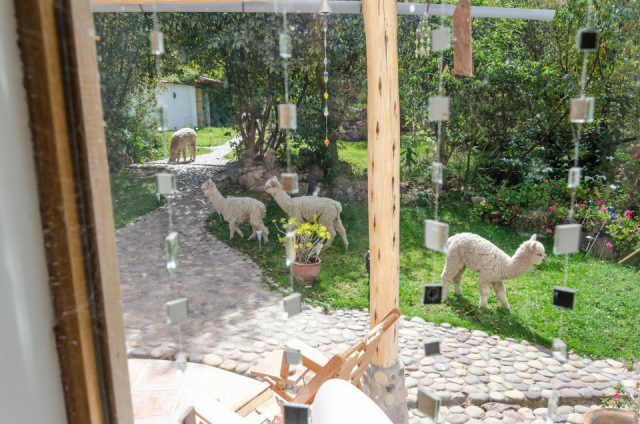 Next, they went to meet Pedro’s alpaca herd. 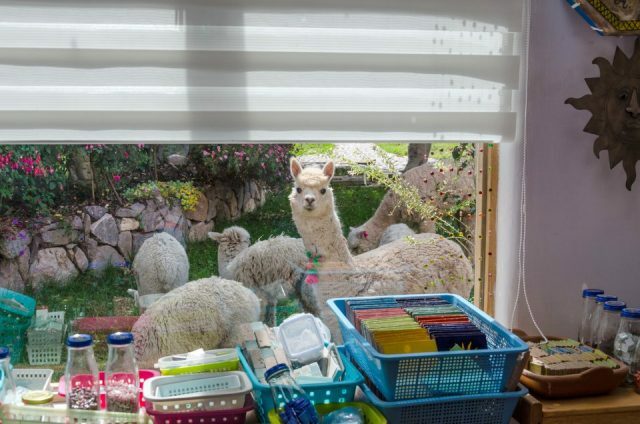 Several children had already gotten the baby alpacas ready to travel. 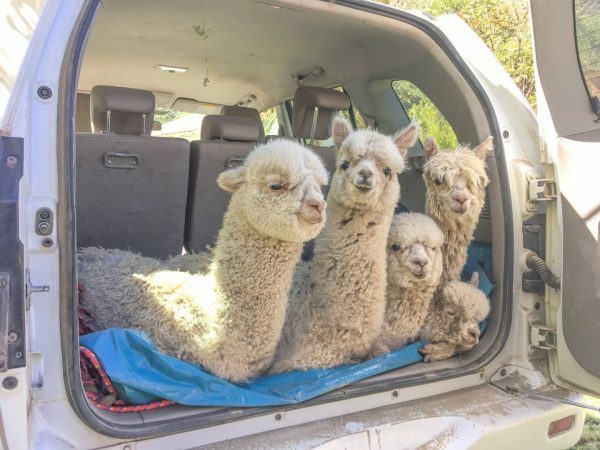 Five crias (baby alpacas who have been weaned) were loaded into La Perla. We even had extra space for a few more! 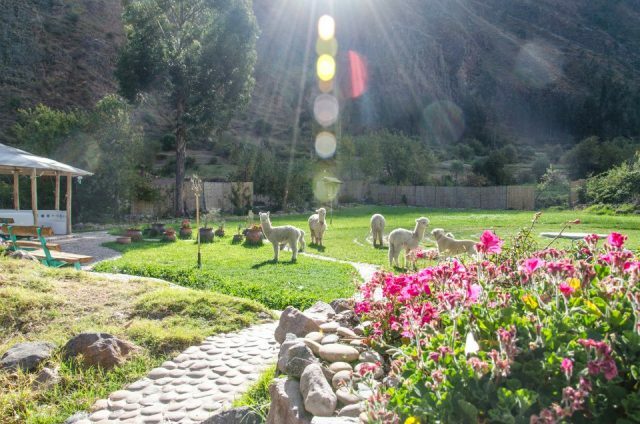 When Emanaku, Roberto and Pedro arrived back at the Heart of AN and opened the back of La Perla, this is what greeted us! Total, Off the Map Cuteness! I instantly fell in love with them! Nima and Tawa came over to check out the new arrivals. 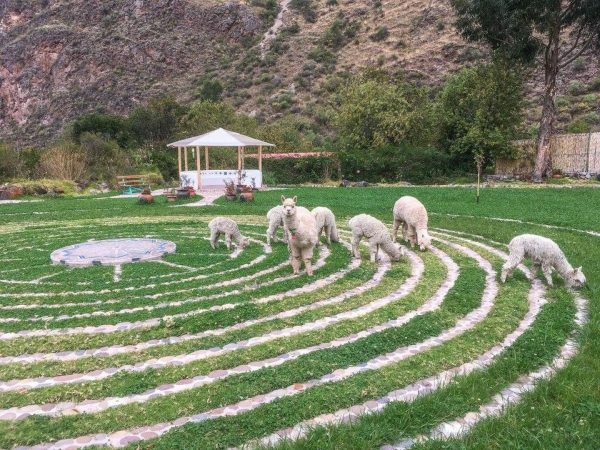 Some of our new visitors immediately made themselves at home on the AN•Labyrinth. 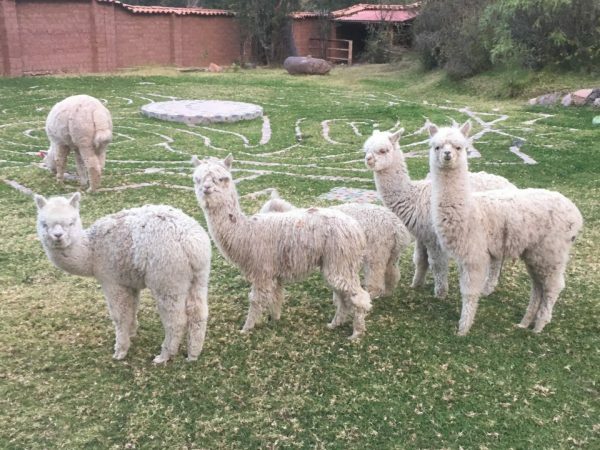 Here are six of our seven Alpacas of AN! 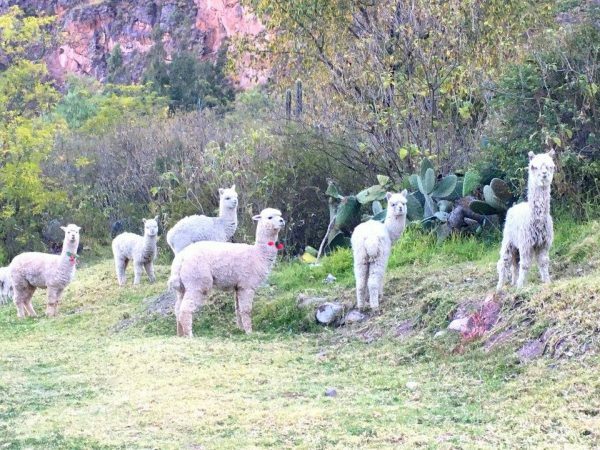 The baby alpacas are only here for a month or so until the weather gets warmer. But I have a feeling that some of them might just have to stay here with us ~ so we will have to save up some money to pay for them. 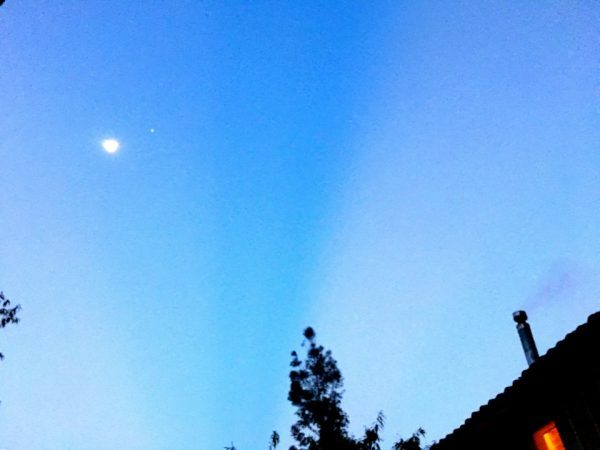 That evening, there was a massive blue beam over the Heart of AN. What an auspicious sign! 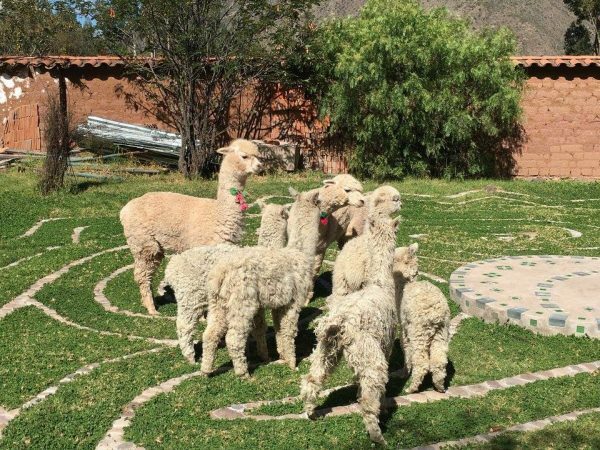 Yesterday morning, the alpacas were all at the Tower of AN, happily eating. 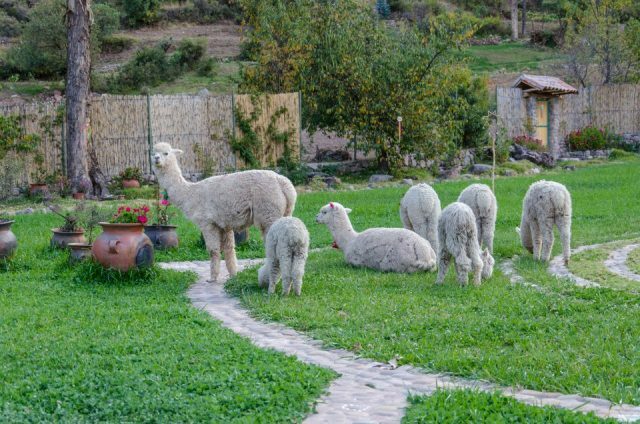 Here they are near our new vegetable garden ~ which we hope to finish in July. 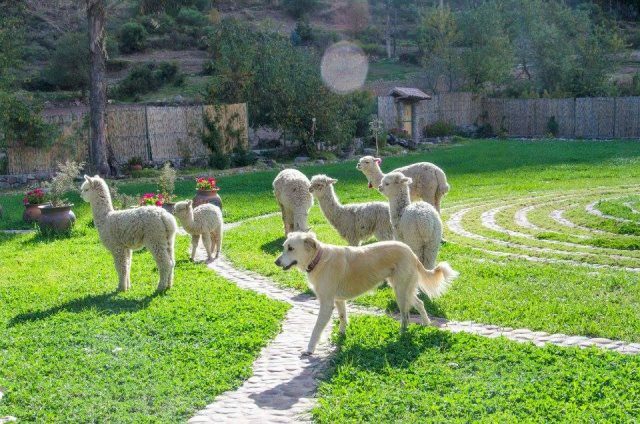 They are so, so adorable and totally fit in with the energies of the Heart of AN! A bit later yesterday morning, Nima suddenly appeared at the acequia canal close to our house. She had never come over here before. A few minutes later, everyone was here! 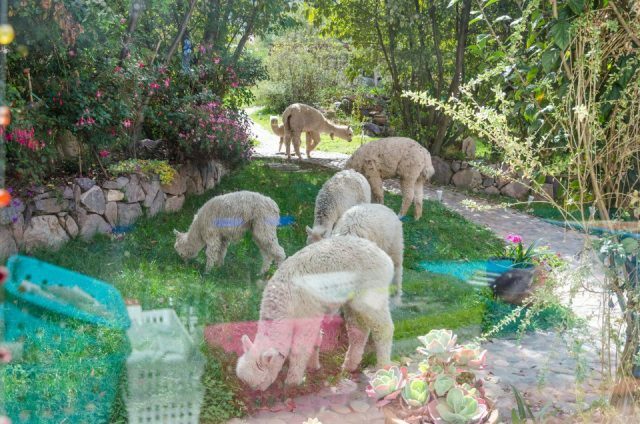 The alpacas quickly made themselves totally at home and started seriously eating. The ever curious Nima peers into our art studio. 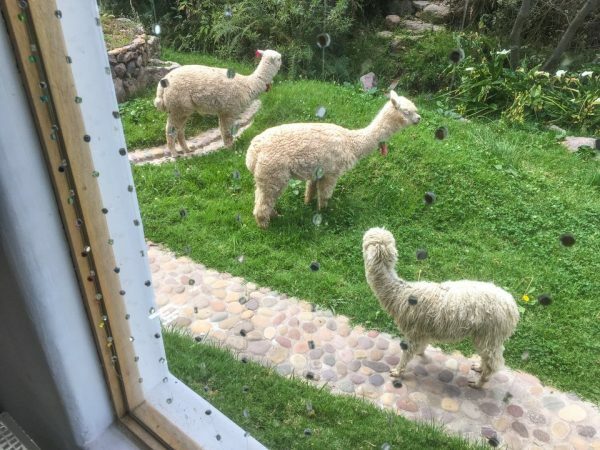 The alpacas loved it outside our house! 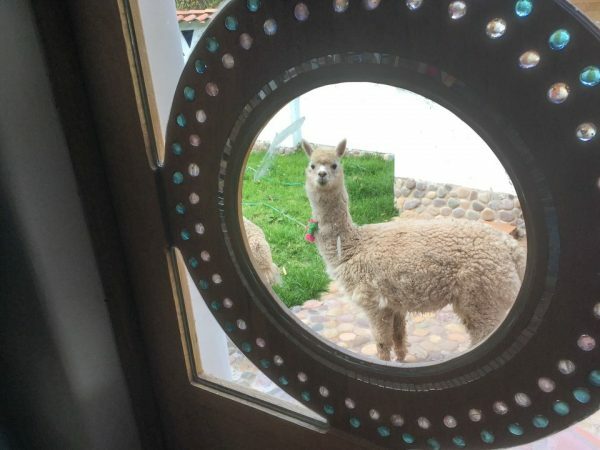 Manzana was calmly sitting outside our house watching them when she was approached by a friendly, baby alpaca. This is my ultra favorite baby alpaca so far. Perhaps, it’s because it follows me around and thinks that I’m its mother. I’m totally in love! Here’s Nima outside the dining room door at the back of the house. 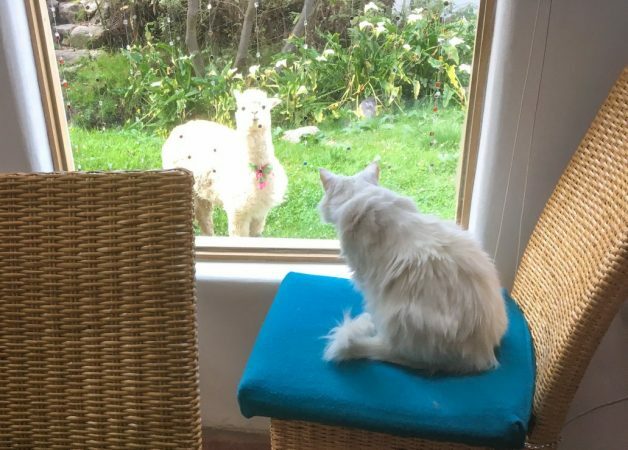 Luna had never seen the alpacas before and was completely amazed! Nima was also curious about Luna. 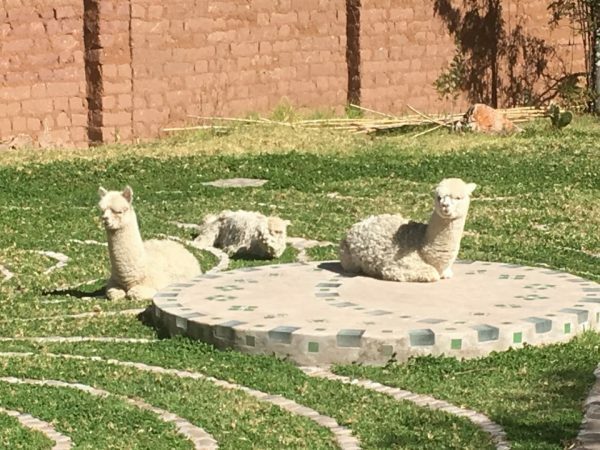 In the afternoon, the Alpacas of AN happily returned to the Tower of AN. 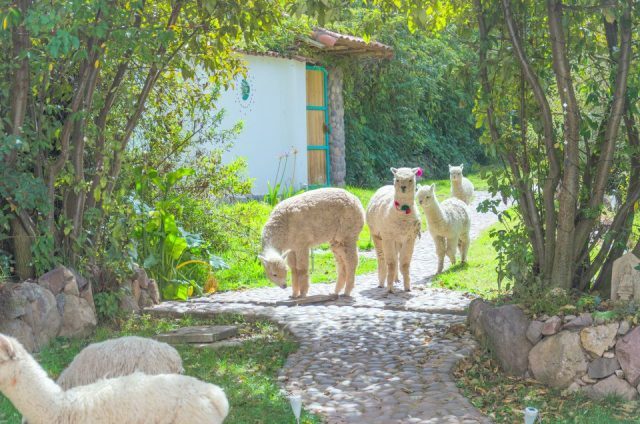 The more alpacas that are here, the better it feels! 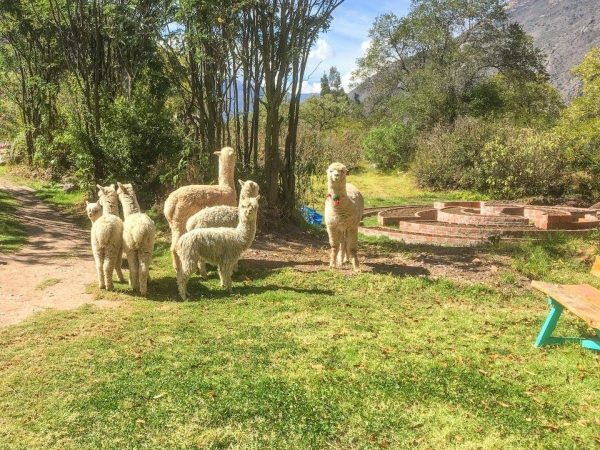 Manzana really loves the new young alpacas and tries to fit in with the herd. 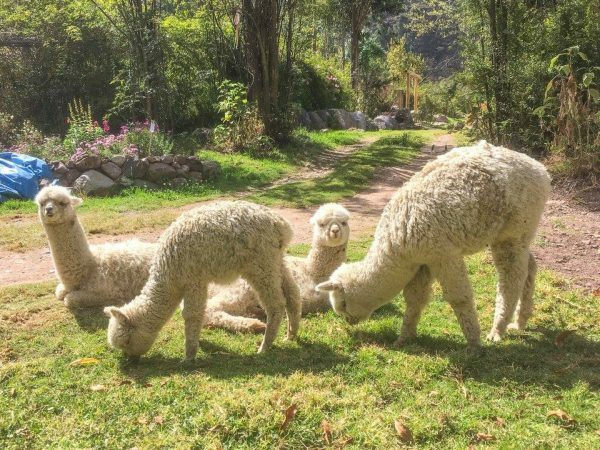 The alpacas love eating our lush, thick grass and are already becoming a happy family. 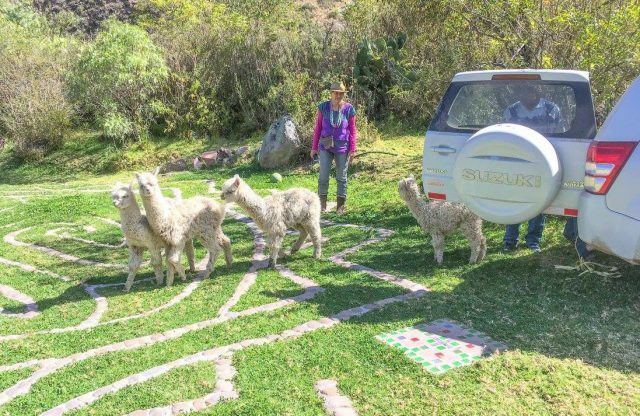 Here they are on their way back to Alpaca•Wasi for the night. Whenever I speak to them, especially in star language, they listen intently. 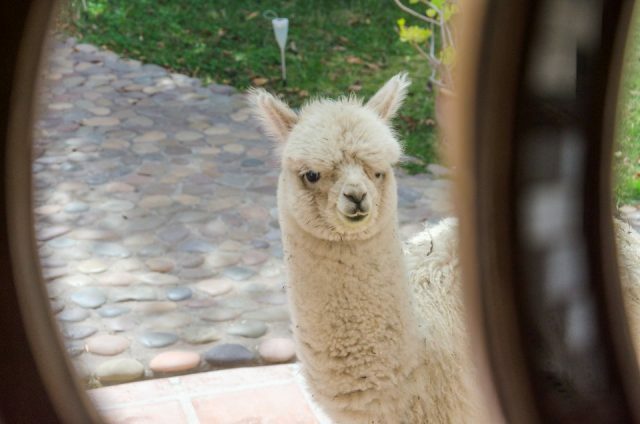 Goodnight, Beloved Alpacas of AN! Oh, and I see that there’s still room for a few more! 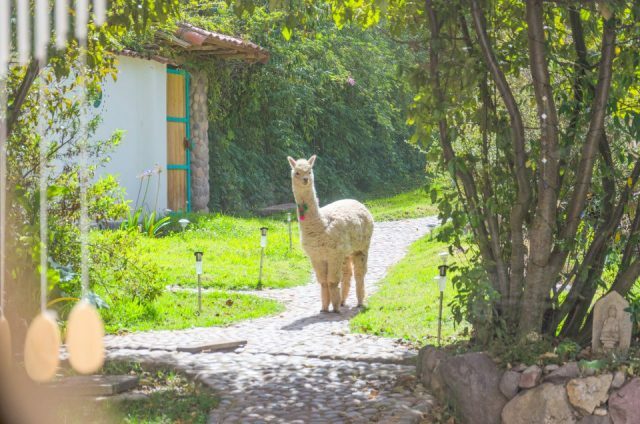 Comments Off on Alpacas Everywhere at the Heart of AN!